We all have ’em. That old chair you can’t stand to throw out, but also can’t stand to look at! Either its’ fabric could win an ugly chair contest, or it is in such bad shape it looks like it just got rescued from a back alley. (And hey, maybe it did!) 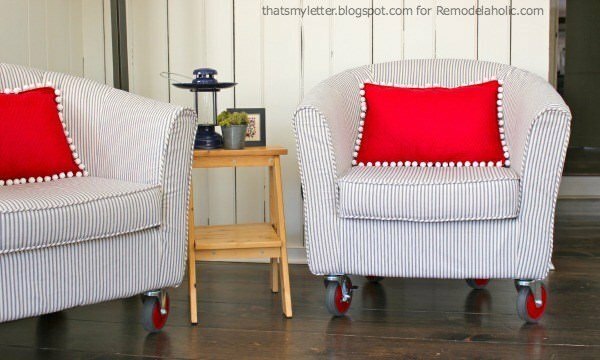 Whether you want to transform your latest thrift store find, or want to bring Aunt Rhoda’s antique chair into this decade, we have all the instructions you need on how to reupholster a chair. 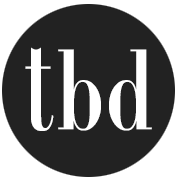 Save big bucks over paying to have it done with these tutorials! 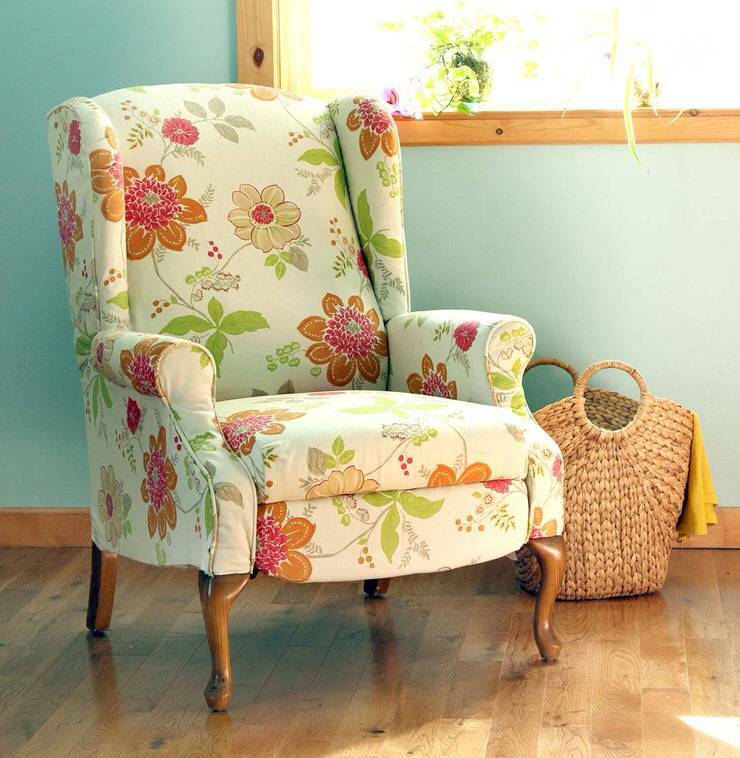 We have tried to include upholstery tutorials for several different styles and types of chairs, so get to it! 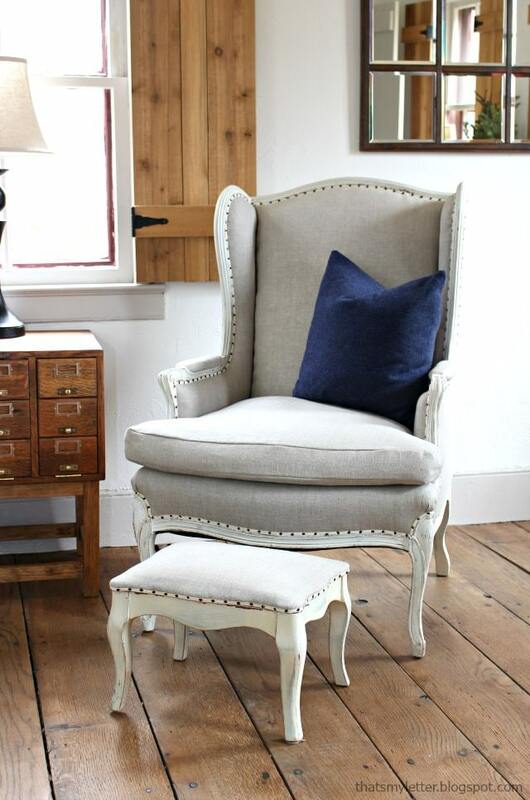 Isn’t this French chair gorgeous? 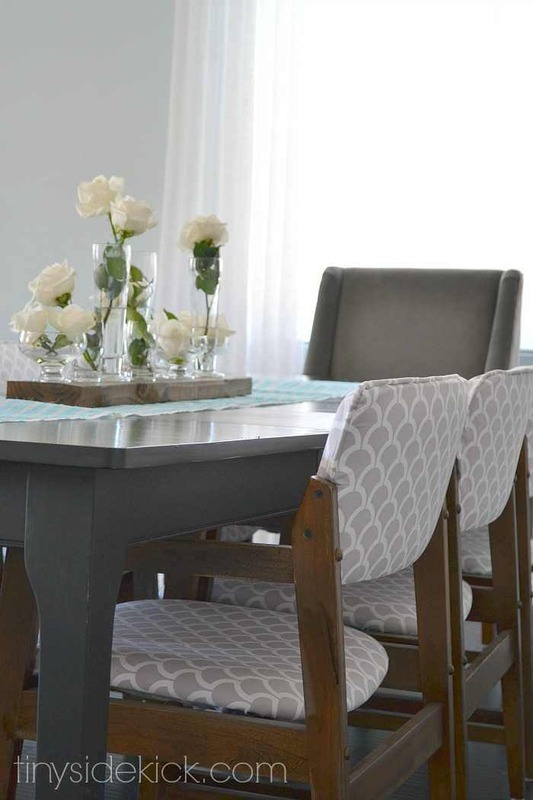 ‘White Lace Cottage‘ shows us how to reupholster a chair that has real character and charm. 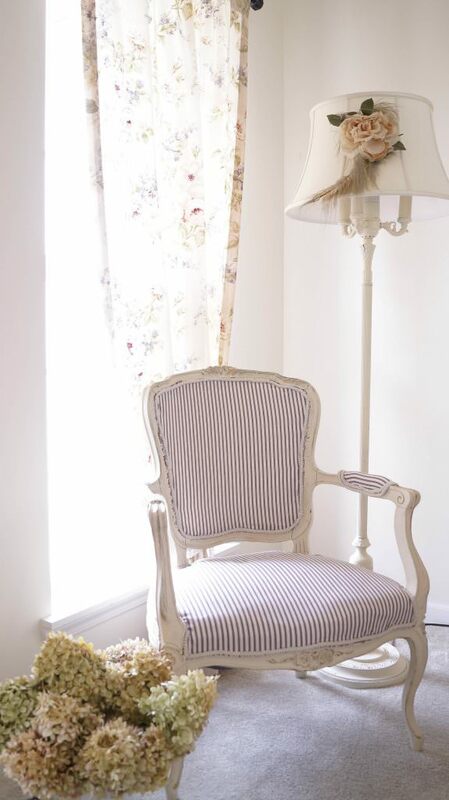 The pinstripe fabric she choose was a perfect reflection on the history of this chair! Seen something like this in a thrift shop? You can make it look like new! Want to step it up a notch? Learn how to reupholster a chair with leather from ‘Lovely, Etc.‘! Reupholster a tub chair using this tutorial from ‘Jaime Costiglio via ‘Remodelaholic‘. 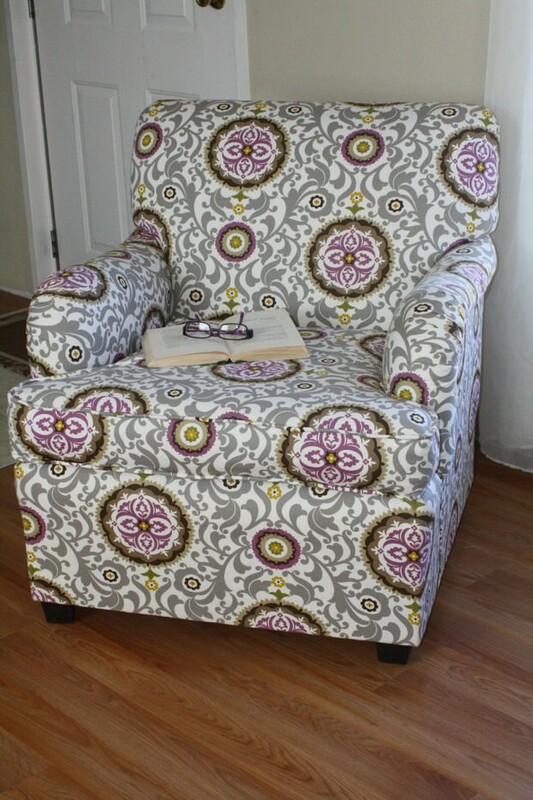 This is a plain Ikea chair recovered to a custom fabric. So if you want to know how to turn an old armchair into a brand new piece of furniture, go check out ‘A Piece of Rainbow‘. She has a full tutorial on how to reupholster an armchair, and she takes you through it with step by step photos. Go see her “before and after” photos! Lorien at ‘A Side of Sunshine’ shows us how to reupholster a chair… and not just any chair, but a full size club chair. Yep, just like the one sitting in your family room. Lots of step by step photos! Be sure to check out the ’80’s before photo! 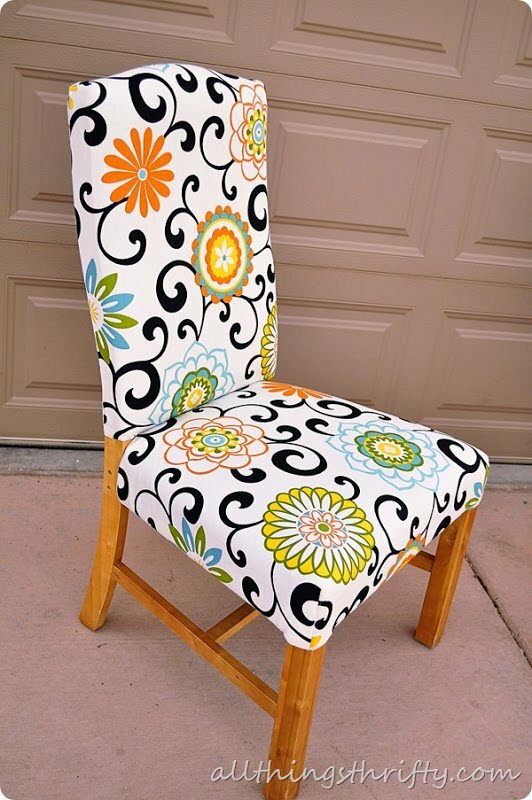 Learn how to reupholster a chair from ‘BHG‘… This tutorial is pretty straightforward, and I love the bright fabric they chose. They have a tutorial to recover an ottoman as well. 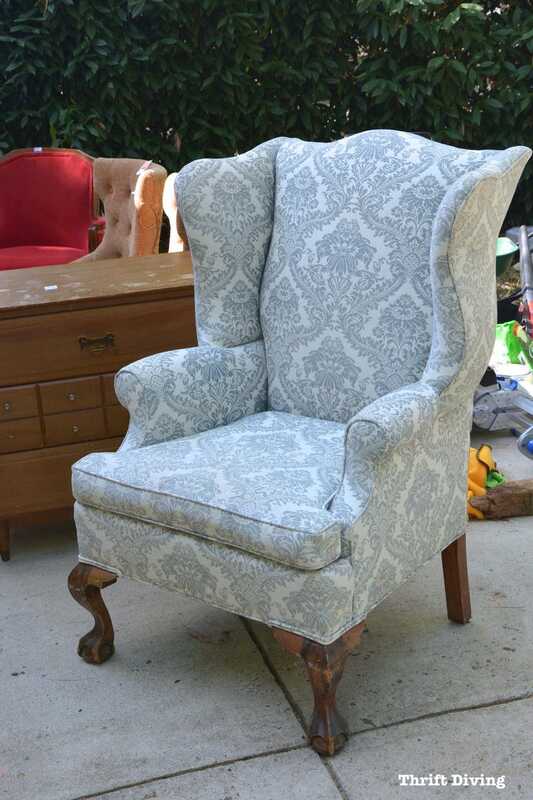 Think it would be impossible to learn how to reupholster a wingback chair? Nope! 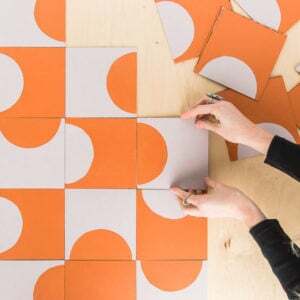 ‘Jaime Costiglio‘ shows you exactly how to get it done! Perfect project to save hundreds of dollars! This tutorial on how to upholster a chair is another wingback style. 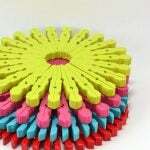 From ‘Thrift Diving‘, she paid just $60 for this chair, then recovered it to make it gorgeous! Step by step video for this chair reupholstery project! Corey at ‘Hey There, Home‘ has a great step by step for how to reupholster a chair, Mid Century Modern style! Love these incredible chairs, and so glad she was able to recover them! 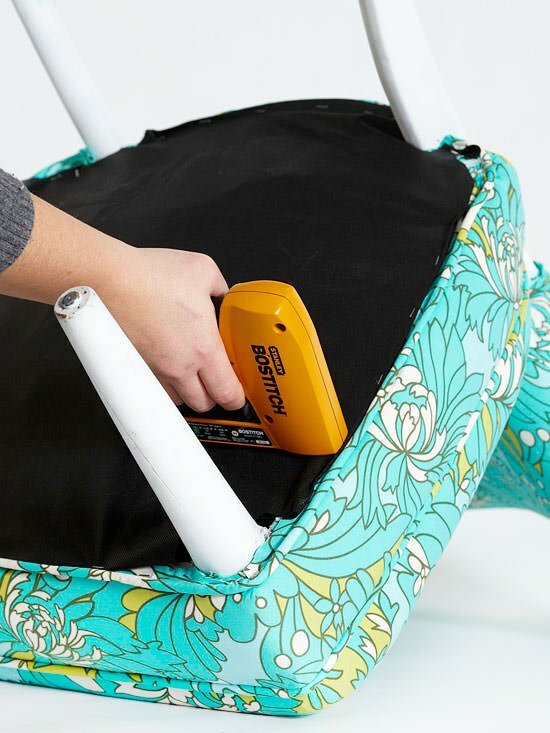 Brooke at ‘All Things Thrifty‘ shows us the 10 essential tools needed for upholstery, and a bunch of great tips along the way as she reupholsters these fabric covered dining chairs. I absolutely LOVE the fabric she chose. If you ever walk into a designer home and wonder how they make it look so amazing, choosing bold fabrics like this is one of their secrets! If you just need to reupholster a chair seat on a dining chair, ‘The Thinking Closet‘ has you covered. 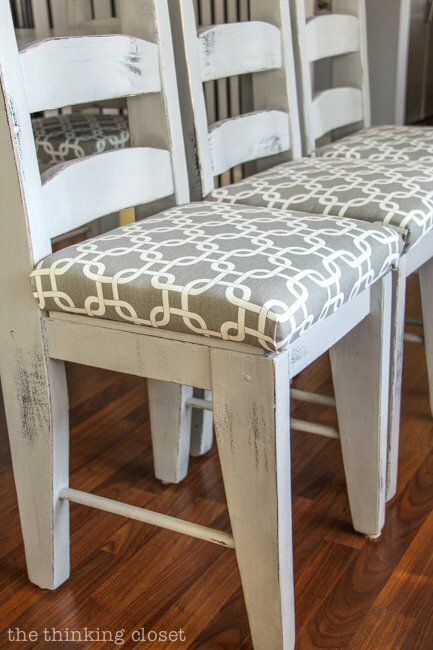 Here are easy instructions on how to cover a chair seat, with no sewing required! Now that you have the skills to reupholster a chair, learn to build DIY Bed Frames or make a DIY upholstered headboard for less than $30! You might also be interested in our post on How To Reupholster Almost Anything at our sister site, OhMeOhMy! 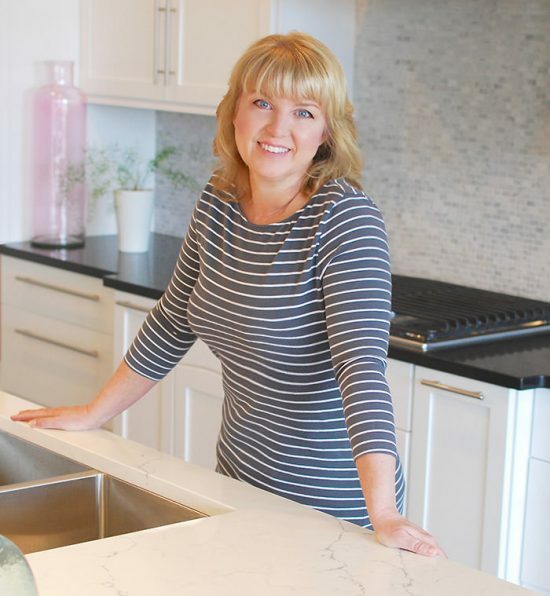 Note : This post has been freshened with updated projects. 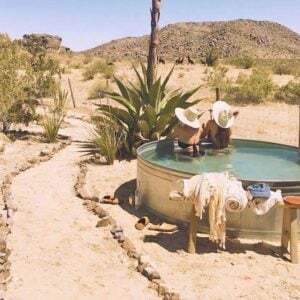 Stay Cool with a DIY Stock Tank Pool! Thank you for featuring my reupholstered chairs on your blog. I learned how to reupholster those chairs by reading a lot of the other tutorials you featured. So anyone can do it! It definitely saves a lot of money to take on the project yourself instead of paying someone else to reupholster it for you. Thanks again! 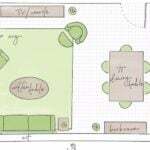 Thank YOU for sharing Allyson, great project! The a side of sunshine website is no longer up. Thx for letting us know, we will look for a replacement project!